100 years after the Titanic?? Today we’ve heard that a Costa cruise ship has been in an accident, which has taken place near the island of Giglio, off the Tuscan coast. 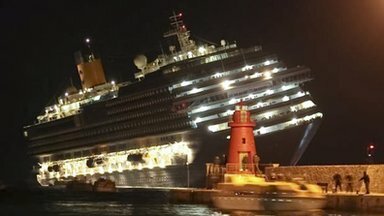 According to reports a major rescue operation was launched after the CostaConcordia began sinking. There were 3,200 passengers on board at the time with 1,000 crew members, and they have been evacuated to a nearby island where they are taking refuge in hotels and schools. 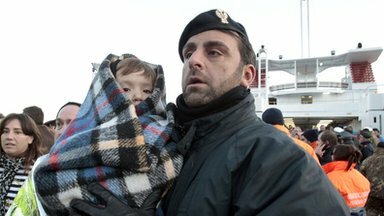 The Captain of the ship Paolilo said that he tried to “steer his ship toward shallow waters” so that the evacuation would be easier by lifeboat. Once the boat started to tilt on one side the lifeboats could no longer be used and helicopters were called in to help evacuate the remaining passengers. Sadly at least three people are dead after their bodies were recovered from the sea and another three are feared dead according to a coastguard official. 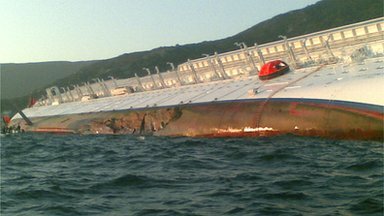 The Costa Concordia is said to have left the port of Savona at around 7pm local time and was sailing to its first port of call in Civitavecchia, when the accident happened at around 9pm. A full investigation will now take place to find out the cause, how this accident happened is still unknown at this time. Costa Concordia is one of the biggest ships in the Costa fleet. It has 1,500 cabins, 5 restaurants, 13 bars, 5 Jacuzzis, 4 pools and even a Grand Prix Simulator and much more. You can read more on this accident here.